In previous sections of this website I’ve written about the bizarre, two-level pricing system for prescription medications. Most generic medications usually cost only pennies per dose. These include many of our most useful drugs. But brand-name medications, which are usually the newest drugs, can cost hundreds of times more than that—too expensive for some people even with insurance. Of course two-level pricing systems aren’t unique to prescription drugs. We all know we can get the “supermarket brand” for less money than the name brand for most products. And in the over-the-counter aisle at a drug store, we know we pay several dollars more for Bayer aspirin than for exactly the same drug with a Walgreens label. But in these cases, the difference in prices are never hundreds of times more. Also, we’re far more aware of the exact prices of these products than we are of prescription drug prices. So the question is, why?’ How did the system get to where many of our prescription drugs are cheaper than milk, but some are more expensive than luxury cars? And why did we let it happen? So here I’d like to ask two questions: What are we getting in exchange for these extraordinary costs? And is it time to revisit the bargain? First, let’s talk about how much we pay. Like almost everything in medicine, “we” in the U.S. pay much more for prescription drugs than almost anyone else in the world. Name-brands always cost more than generics, but the name-brand drugs cost far more in the U.S. than in the rest of the world. The pharmaceutical companies wouldn’t argue with that. 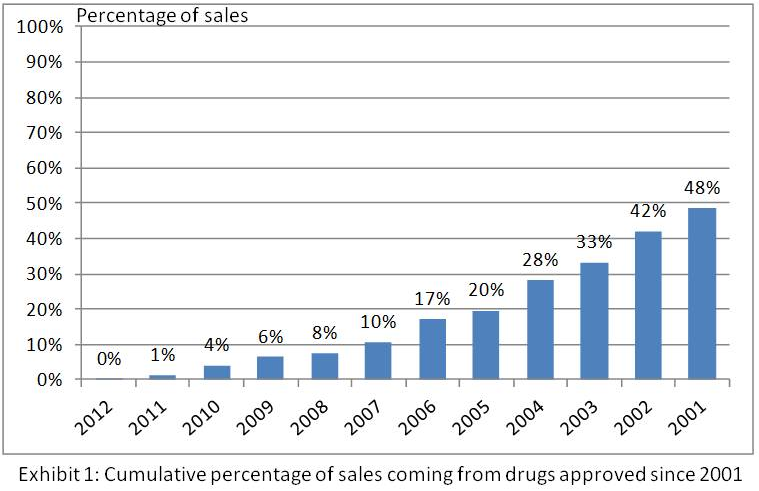 The graph below is taken from the financial reports of the 13 largest pharmaceutical companies in the world. It shows that 45% of their total combined revenue since 2011 came solely from sales the U.S. 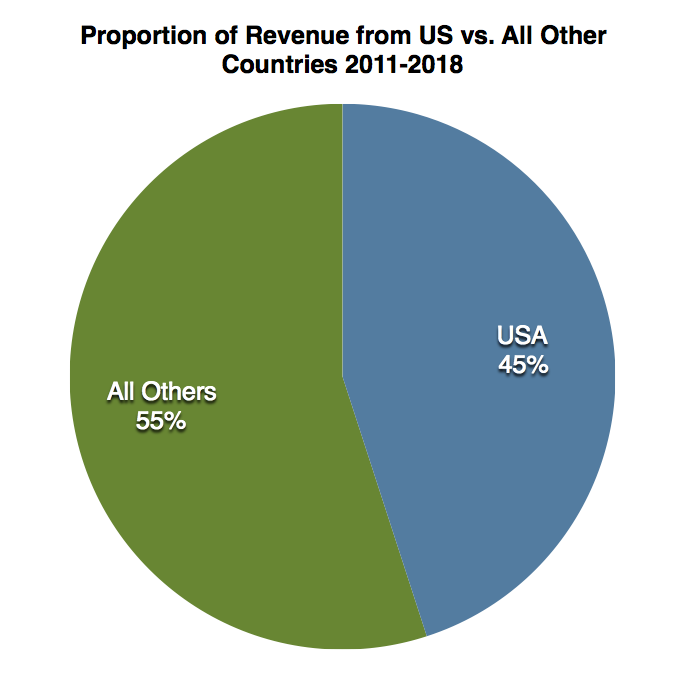 Figure 1: Proportion of total pharmaceutical revenue for the 13 largest pharmaceutical companies from sales in the U.S. vs. sales in all other countries from 2011-2018. So here in the U.S., with 4-5% of the world’s population and 33% of the developed world’s population, we cover for 45% of all pharmaceutical revenue? Let’s look at this another way. Consider the following table comparing the price pharmacies in the U.S. pay for some commonly prescribed medications to British Columbia’s national insurance coverage for the same medications. Table 1: Comparison of brand name drug prices in the U.S. and Canada. The difference is even bigger than it looks. First, because the prices shown for Canada are in Canadian dollars and, second, because the prices shown for the U.S. are the prices the pharmacies pay for these drugs. Why the difference? Because even though pharmacies in other countries buy drugs from the same suppliers and pharmaceutical companies that our pharmacies use, they pay only a fraction of the price our pharmacies pay. So, are we in the U.S. just being chumps for paying many times the price for the same pill as a patient in Vancouver? Maybe, but before we get any further into that, we need to look at the other part of the bargain. The pharmaceutical companies tell us that they turn these high prices into research toward new cures for diseases. It’s true, we in the U.S. seem to be picking up most of the research tab for the rest of the world, but if we’re curing diseases, maybe it’s worth it. In other words, let’s see if the pharmaceutical companies are really delivering on their side of the bargain, and then we’ll go back and decide how much we should be paying them. I examined the annual financial reports of 13 major pharmaceutical companies over 8 years (2011-2018). These were among the world’s largest pharmaceutical companies and were responsible for a combined total of nearly half of all of the world’s pharmaceutical sales from those years. I uploaded each of the reports I examined here and listed the pages that contained all the information I used next to each link. I also prepared a four to five page summary of what I thought were my most important findings about each company. I linked these summaries to the name of each pharmaceutical company on the webpage. We’ll start by looking at one of these reports. A good example is the 2011 annual report for Pfizer. The report itself is 117 pages long but, not to worry, much of what we need to know can be found on page 17, which I show below. (PDF document page). Table 2: Pfizer’s 2011 financial review. 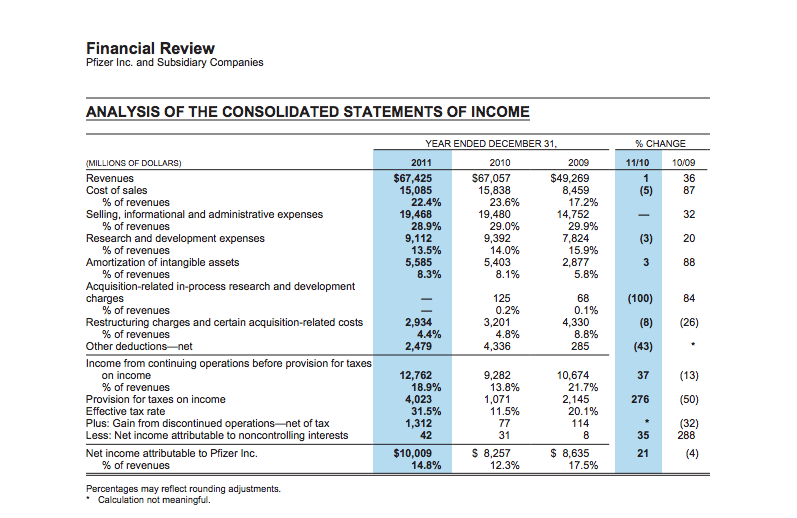 On page 17 you’ll find the above table which is an analysis of the consolidated statements of income for Pfizer. You can see from the first line that Pfizer reported just over $67 billion in revenue in 2011. A few lines down you can see that they spent just over $9 billion on research and development that same year. OK, $9 billion is a lot of money. It was nearly 14% of their total revenue. But what’s really interesting is that you can see that Pfizer spent more than twice as much on Marketing (selling, informational and administrative expenses) as they spent on research; over $19 billion! And look at their profit for that year. They made just over $10 billion in net income (after taxes) which, by the way, is more than they spent on their research for that year. So the cost of research wasn’t exactly eating all of Pfizer’s income pie in 2011. But that’s one pharmaceutical company’s financial statement for one year. How about the rest of them? -The combined total revenue for all 13 companies over 8 years was about $3.78 Trillion. -The Combined total profits for these companies was about $744 Billion. -All 13 pharmaceutical companies spent a total of $643 Billion on research. 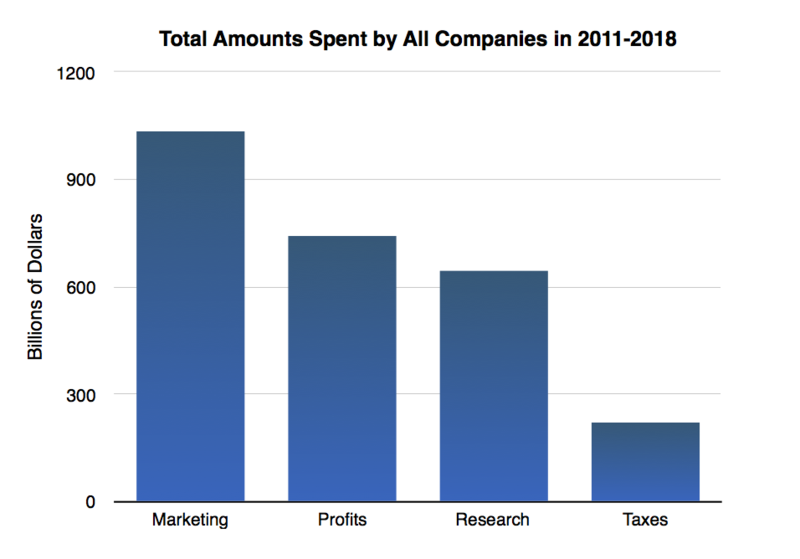 -The total amount they spent on marketing was about 60% more than what they spent on research: $1.04 Trillion. Figure 2: Total combined profits earned by all 13 major pharmaceutical companies from 2011-2018 compared to amount spent on marketing and research over the same time period. 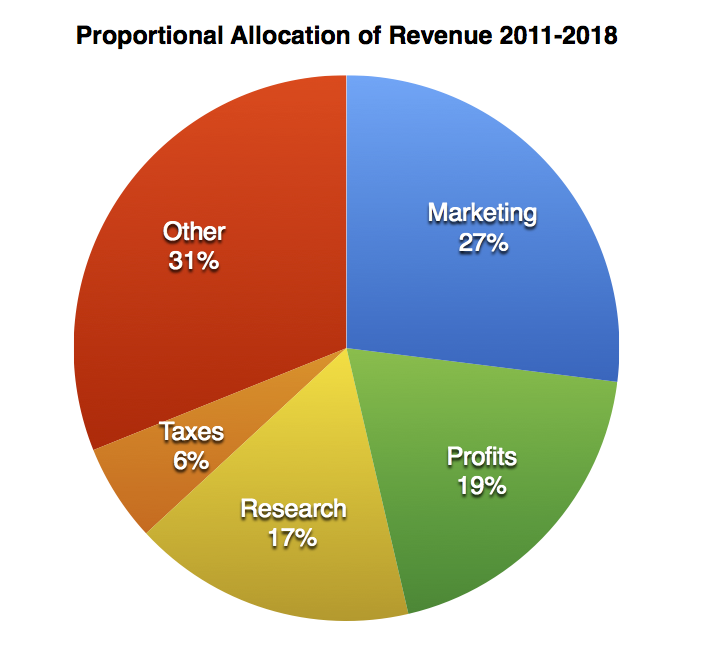 Proportion of total revenue allocated for each is below (figure 3). As you can see, the pharmaceutical companies do spend a lot on research but their research budgets are dwarfed by their marketing budgets. They also made more in profits each year, on average, than they spent on research. So let’s do some estimates. Just as an example, we’ll take that dose of Xarelto that we get for $14.37 and the Canadians for about $3. The pill most likely costs just a few cents to manufacture (we know that from the cost of the generics), so the $14.37 is mostly profit. But they charge (us in the U.S.) $14.37, they say, to cover the cost of discovering it. Yet from their own statements, only about $2.44 of the $14.37 (17%) goes into research. Another $2.73 is pure, after-tax profit, and a whopping 27%, or about $3.88 of that $14.37 pill goes, not to the scientists at the pharmaceutical companies, but toward buying all of those medication ads you love so much. So most of what we “buy,” when we pay the highest drug prices in the world, is high corporate profits and lots of television commercials of middle-aged men with very pretty wives. What Does It Mean When They say “Research”? When we think of research, we might think of scientists in white coats skillfully synthesizing new compounds and conscientiously measuring their effects. This does happen in the design and testing of new drugs, and of course the money spent on that comes out of the research budget. But research money also goes to a lot of places you might not expect. First, research buys drug studies. That’s what the pharmaceutical companies do when the drug’s already developed and they want to see if it really treats the disease it’s supposed to treat. There’s usually a pretty high standard for success in these studies and it’s pretty hard on a company when one fails. So what happens if it looks like the drug almost works? First, it means the drug probably doesn’t add very much to medical therapy. But all too often a pharmaceutical company will just repeat a study. These repeat studies give blind chance another opportunity to make the drug look useful. So some of the “research” money is really used in making mediocre products appear better than they really are. It also buys “in-process” research, which is what the company pays to take over another company, hoping that the new company might have some valuable drugs in its pipeline. In other words, this part of the research budget can be used essentially for corporate takeovers. But here’s where the idea of pharmaceutical “research” really gets stood on its head: Pharmaceutical research is sometimes virtually indistinguishable from marketing. At the best of times the line between “research” and “marketing” is pretty fuzzy. After all, what really is research and what exactly is marketing? The answers to these questions aren’t as obvious as you might think. Much of what defines research vs. marketing costs is a decision left to the pharmaceutical companies and they can be rather creative in how they assign these costs. In their 2007 financial report, Roche reassigned nearly 800 million Swiss Francs from their marketing budget in the 2006 report to the research budget (PDF page 138). This shows how even the pharmaceutical companies have trouble making up their minds about the definition of “research”. Also, Bristol-Myers Squibb recently had separate listings for marketing and advertising. This means that, for some reason, Bristol-Myers Squibb didn’t consider advertising to be a component of marketing prior to 2014. Why such confusion? First, a lot of research has to happen outside the lab, and in medicine you obviously have to go to doctors and see how well the new drugs work on sick patients. But doctors are also your main customers—they’re the ones who decide whether to prescribe your drugs. And they’re your main advocates—they’re the ones people trust to say whether a drug is worth using. So hiring practicing physicians to evaluate new drugs creates a potential conflict of interest for these doctors, blurring the research vs. marketing line further. Consider this: many of the very same doctors who will eventually prescribe these new drugs to their patients are first hired by the pharmaceutical companies to evaluate the drugs. And it is their evaluation which is presented to the FDA as part of the decision whether the drug is worth approving for patient use. Class sizes are far too large in a school district and, while the English teachers can prepare and deliver lessons, they can’t possibly have time to grade all the papers from their students quickly enough. The solution: hire outside graders to read, and grade, the papers. That’s not a problem—the town is full of English majors who are conscientious and more than qualified. The problem is that the school doesn’t have any money to pay the graders (there’s a reason class sizes got so big). But still, it’s an affluent town and the Principal gets a very clever idea. Just let the students hire their own graders. Of course a grader has to have a degree in English and relevant experience, but otherwise the student can pick (and pay) whomever he wishes. And of course if he’s not satisfied with his first grader, he can hire a different grader for his next papers. Do you suppose a lot of really harsh graders will get hired, let alone rehired? Would you care to guess how many of those papers will get a grade of less than `A’? Now these doctors aren’t paid specifically to ignore gaping flaws in a pharmaceutical funded study. But they are expected to use their judgment, and they’re generally paid pretty well (what company would risk underpaying the people who will determine whether their products get approved for market?). They also know that it’s solely the choice of the pharmaceutical company whether to ask them to evaluate future studies. And the money the company pays each of these doctors comes directly out of the research budget. Also, the pharmaceutical industry is responsible for about 65% of the FDA’s budget for overseeing human drugs. Since 1992, the pharmaceutical companies have been allowed to pay the FDA prescription drug user fees to “help” the FDA in the process of approving drugs for the sale and distribution in the U.S. These user fees paid to the FDA now make up the majority of the money the FDA gets to oversee the pharmaceutical companies and, of course, are also part of the research budget for the pharmaceutical companies. In any market, an actual bargain can only occur when each party has the option to walk away. If you think the hamburger is too expensive in one store, you can shop in a different store. Or you decide to buy chicken instead. If the rancher can’t make money selling you beef, he’ll sell it to someone else. Or maybe he’ll decide to raise chickens. Somewhere in there, the two of you agree what the product is worth, and that’s what you pay. But can you really “bargain” when buying prescription drugs? Think about it, when a doctor writes a prescription that’s the only drug you can legally buy. Your only other choice is to get no medication at all and remain sick. And, if the disease you have could kill you then the choice you have is literally “your money or your life”. Most people won’t choose to die in order to save money, even if it’s most of their money. So, since the patient really can’t just walk away she has no real ability to bargain at all. But then why does the rest of the world pay so much less than we do? The answer is that, while individual patients have practically no bargaining power when buying prescription drugs that’s not at all true of governments. Virtually every other government in the world finds that pharmaceutical companies would rather lower prices significantly than simply not to sell in a particular country. So other governments bargain with the pharmaceutical companies on behalf of their citizens, and this type of bargaining significantly lowers the price of brand name medications in these countries. The one exception is the U.S. government. As the single largest market for medications in the developed world, you can imagine our government is in the best possible position to bargain on our behalf. And, even though this strategy works for all the other governments, our government won’t do it. U.S. law prohibits our government from taking any active role in negotiating the prices charged by pharmaceutical companies. Instead, we use pharmacy benefit managers to bargain for us and, as I showed in previous chapters, the PBMs tend to side with the pharmaceutical companies and actually prefer higher drug prices. And for all practical purposes, that is the reason we pay more (much more) than anyone else in the world for prescription drugs. That is the “bargain” we (or really our Congress) made. The fact that our government is the only major world government that refuses to negotiate with pharmaceutical companies has led to a rather desperate movement in the U.S. A large number of people— and several politicians— have proposed reimporting medications from other, smaller countries that have successfully negotiated lower prices for these medications. This strategy would result in lower drug prices for us but, think for a minute, how ridiculous is that? Our government refuses to negotiate directly with the pharmaceutical companies so, instead, we’ll use the governments of other, smaller countries to do the job we could do better and more effectively if allowed? Really? This shows yet again that our own government has gone out of its way to make our healthcare system not just inefficient, but outright surreal. Why did our government deliberately opt out on this task? There are two reasons often given. First, there’s the argument that the government shouldn’t interfere because we have a “free market” for drugs. Americans have a great deal of faith in our market system, but in this case, our “free market” offers absolutely no freedom when purchasing prescription medications. As we discussed, you don’t choose which medications you’re prescribed; and people don’t (often can’t) shop around and compare the prices of brand name medications. In other words, it’s a free market minus any evidence of freedom (or a market). What are we Really Getting in Return? But our discussion here largely concerns the second justification often given for giving up all control over drug prices. We’re told that the high prices Americans pay for drugs are needed to generate the money needed to cure diseases. We’ve taken a long look at where the money goes. Briefly, lots of marketing, lots of profits, and “research” that’s a combination of some new drug development, repeated attempts to get old drugs approved, more marketing and corporate takeovers. But even if most of the money we pay goes to marketing and profits, it’s still reasonable to ask whether the pharmaceutical companies are delivering results. In other words, are they developing new drugs to cure diseases? That’s where we’ll go now. Not too long ago many of the new pharmaceutical products were having a revolutionary impact on health care. Between 1970 and the mid 1990’s dozens of new medications changed the way we doctors practiced medicine. Peptic ulcer disease, a chronic painful stomach condition often requiring surgery and lengthy hospitalization, could suddenly be managed with no hospitalization using new classes of antacids, and then cured with a new course of oral antibiotics. New drugs treated malignant high blood pressure before it led to strokes, heart failure and kidney damage. Medications for heart disease and diabetes prolonged the lives of patients by years or even decades. New classes of oral antibiotics were more effective than the drugs that previously could only be administered in the hospital, and so patients with severe infections (pneumonia, diverticulitis, severe cellulitis) could now be sent home with pills. In 1993 Barbara Bradfield became the first woman ever to be cured of metastatic breast cancer. The treatment was Herceptin™, the first of another new class of medications called monoclonal antibodies. Soon, several other monoclonal antibodies were developed as targeted treatments for other types of cancer and severe rheumatological diseases. When the first of the protease inhibitors was introduced in 1995 it proved to be the key to arresting the AIDS epidemic that had been accelerating for more than a decade. AIDS, a plague that was unheard of prior to 1982, and an almost guaranteed death sentence, was killing tens of thousands of people each year in the US in 1995. These deaths were all but ended by the pharmaceutical companies by 1999. This was an era in which medical miracles were so common that doctors started taking them for granted. Because of what the pharmaceutical industry produced, many diseases that required lengthy hospitalization and/or major surgeries in the past can now be treated at home with a few pills. The golden age of the pharmaceutical industry lasted about two decades and produced many new medications that cured the previously incurable and treated the previously untreatable. Almost two decades have passed since then. The protease inhibitors were among the last of the truly revolutionary classes of medications to come from the pharmaceutical industry. Since then, almost all new medications have been variations of old medications with a slight improvement (if even that) or a new indication. Few new classes of medications, almost no medical miracles, nothing that has significantly changed the way we practice medicine has come from the pharmaceutical industry since the late nineties. So how is it that an industry that gave us so many revolutionary, life saving wonder drugs in decades past is now reduced to peddling gimmicks and repeatedly recycling old ideas? The “golden age of the pharmaceutical industry” was drawing to a close as early as 1990 when the pharmaceutical companies began to tire of new ideas. New ideas are always expensive and risky. Even the most brilliant sounding ideas often go nowhere when tested clinically. Herceptin had already been developed, but Genentech executives didn’t care. Testing to see if it worked risked wasting money and these executives were becoming very risk averse. Genentech executives weren’t alone in their risk aversion either. From 1995-1997 Novartis executives tried equally hard to kill Gleevec– another miracle drug that suppresses a deadly form of leukemia indefinitely–because they feared that the trials needed to clear Gleevec would cost too much (Page 436). Fortunately, both Gleevec and Herceptin got the funding they needed and have provided billions of dollars in revenue to the pharmaceutical companies that tried to kill them. They were among the last new ideas to get funding from the drug companies though. By the time Gleevec came on the market in 2000 the door had mostly shut on novel pharmaceutical research. By 1990 the pharmaceutical industry knew they already had a lot of very effective products that were making them lots of money each year. They had patents that were generating billions of dollars a year and would continue to do so for many years to come. They also knew they could probably find a number of new uses for the classes of medications they already had. The most profitable course they saw at that point was to just coast; put no more funding into new foundational research and just keep pushing what was already working for them. That’s exactly what they did, and it worked! The profits made by the pharmaceutical companies exploded over the last decade without them putting out any new products that were even remotely innovative. But that strategy can only work for a little while. Two decades after they shut the door on actual innovation the revenue from the old ideas is starting to run dry. Figure 4: (From linked article above.) New medications released each successive year since 2001 by the pharmaceutical companies have been increasingly less popular. So, we in the U.S. continue to overpay for brand name prescription medications, but the pharmaceutical industry has given us almost no new important therapies in more than 15 years. A somewhat unexpected result of this is that, total pharmaceutical revenue has been nearly flat since 2010. Figure 5: Total annual revenue for the 13 largest pharmaceutical companies since 2010. 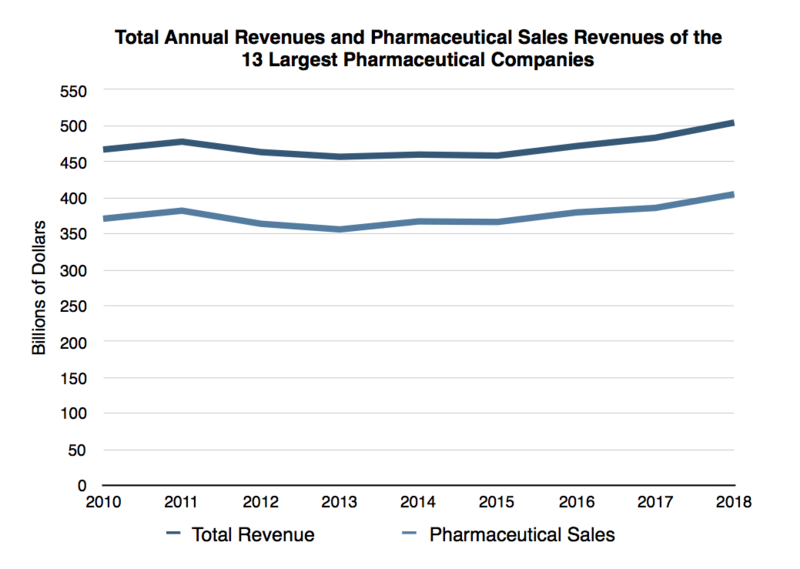 You can see from the above graph that the total revenue from the thirteen largest pharmaceutical companies has barely increased at all since 2010. It has actually dropped slightly since 2011 despite a more than 50% increase in the cost of brand name prescription drugs in the US since 2012. What changed? A flood of Generic drugs came on the market. Because there really is a market for generic drugs, we don’t pay any more for most generics than people in other countries. In 2003, most of the medications prescribed were still under patent. Today, the opposite is true. The effect is easy to see in the following graph, which shows the dramatic loss of revenue when the patent Bristol-Myers Squibb owned on Plavix expired. 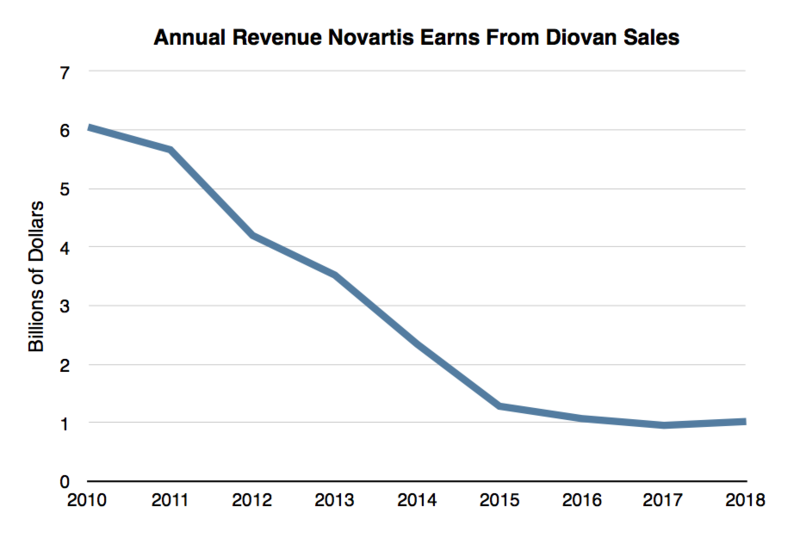 Figure 6: Novartis lost their patent for Diovan in 2012 and, as you can see, that has cost them about $5 billion a year in lost revenue. 1) They’ve fought very hard, and in every way they can, to delay the expiration of drug exclusivity whenever possible. This process is called “evergreening” a patent. For example, they can apply for a new indication for an old drug just prior to it’s patent expiration. They can change the delivery system for, say, an inhaler. They can alter the recommended doses of a drug by a small amount– they have a lot of tricks for maintaining exclusivity and these tricks can often delay generic competition for several years. 2) In 2013 the pharmaceutical companies got the US Supreme Court to allow them to pay generic drug makers to delay the release of generic equivalents of medications for a time after the patent for a medication expires. 3) Pharmaceutical companies pay an enormous amount of money each year to suppliers and pharmacy benefit managers (PBMs) in rebates and chargebacks. The rebates and chargebacks paid by the 13 biggest pharmaceutical companies totaled $150 billion in 2017 alone. That’s more than twice as much as these companies paid in rebates and chargebacks in 2011. These financial incentives encourage the PBMs to approve more expensive medications when determining prescription drug coverage for their policy holders. Rather than trying to contain the cost of prescription drugs, the PBMs are encouraged to cover medications that yield higher rebates. Table 3 shows the average (NADAC) price pharmacies paid for 15 medications. It shows the average cost for these medications in October 2012 compared to the average cost for the same medications in July 2018. In just 6 years most of the listed medications rose an average of more than 100% in price. These price increases have continued for each of these medications in spite of the fact that 9 of these 15 medications have lost there patents in recent years. The primary purpose os these price increases is to fund the rebates cited in point 3. In other words, much of the money spent on these high drug prices goes, not to the pharmaceutical companies, but rather to pay of the middlemen (PBMs and suppliers) who are in charge of choosing which prescription drugs are covered by your insurance. These techniques the pharmaceutical companies are using to cut their losses generally provide no new therapeutic benefit—they just renew their ability to demand very high prices (at least in the U.S.). Starting in the 1970’s the pharmaceutical industry churned out incredible treatments for diseases so rapidly that they seemed to have a factory for miracles. Many horrible diseases went from long-term suffering in the hospital to rapid cures at home. Prices were lower then, the economy was growing rapidly and few would argue against continuing to feed this golden goose. By allowing pharmaceutical companies to charge as much as they wanted for their medications, they would have the tools and the incentive to continue to create new and better medications.We’ve kept our part of that bargain for a long time without asking very many questions. But now we see that the miracle factories seem to have been boarded up for many many years—the industry executives seem to have decided they were just too risky to keep open when they already had so much money coming in. And now it’s been a long time since we’ve seen much in the way of new therapies. We’ve kept sending the money, but what we’ve gotten back is mostly television commercials, paid physician promoters, and pretty young pharmaceutical representatives who take your doctor’s time to try to convince him to prescribe expensive patented drugs instead of generics that work just as well. In short, we’ve bought marketing and corporate profits that are still among the highest of any industry. The “research” we’ve purchased has often gone not into finding better drugs, but into finding how to make the drugs look better. Or into extending their patent protection for reasons that don’t make them better. Some legitimate research still occurs, to be certain, but it has much less impact in an industry that became risk-averse decades ago. And strangely enough, in failing to uphold their part of the bargain to provide new and innovative therapies, the pharmaceutical companies have themselves started to suffer. Nine of the thirteen companies whose financial records I examined have had flat or declining revenue for the last several years. That trend is likely to continue, and even get worse, in an industry that continues to live in the past. And what of the rest of us? We’ve blindly pumped trillions of dollars into an industry with an assumption that they’d continue to turn that money into medical miracles. 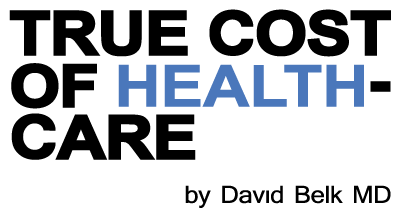 It’s plainly obvious that industry decided nearly two decades ago they’d rather keep most of that money than continue to revolutionize health care. Since the pharmaceutical companies haven’t done much to keep their end of this bargain, isn’t it time we stopped giving into their demands? Every other Country in the World figured them out years ago. When will we be ready to open our eyes and start doing the same?